This is a sponsored post written by me on behalf of the sponsors of #SpringSweetsWeek. Welcome to #SpringSweetsWeek 2019 hosted by Heather from Hezzi-D’s Books and Cooks and Christie from A Kitchen Hoor’s Adventures! What better way to celebrate the coming of Spring than with food and a fun giveaway?! Thirty bloggers from around the country have come together to share over one hundred sweet recipes perfect for Spring! Get ready to ditch your hats, coats, and snow boots and get ready for some delicious sweet treats like cupcakes, cookies, sweet breads, and cocktails. Our #SpringSweetsWeek sponsors are helping us give away some great prizes. Thank you so much Swiss Diamond, Dixie Crystals, Nancy’s Yogurt, Sprinkle Pop, Adams Extracts, Barleans, Melissa’s Produce, and PEEPS®* for your generosity. I decided to shine the spotlight on that final sponsor - PEEPS® - for my introductory post. We have an incredible giveaway below and would love if you would take a moment to read about it and what you can win! So, kick up your feet and get ready to be inspired! This is a lenghty post, but it's a worthwhile look. I promise. We have prizes, a giveaway, and lots of fun planned. Prize #1: Swiss Diamond Cookware is giving one winner an XD Nonstick 6 Piece Newlywed Kitchen Kit! Swiss Diamond’s 6-Piece XD Newlywed Set is the ultimate nonstick cookware collection, with a pot or pan for nearly every recipe you can think of! Nothing conducts heat more efficiently than diamonds, and combined with the extra-thick cast aluminum body, these pans have amazingly even heat distribution. With this superior heat retention, they sear ingredients as well as stainless steel, but without the messy cleanup. The XD nonstick coating releases so well, you can cook anything without a drop of oil or butter. This set includes a 9.5" fry pan, an 8" fry pan, a 2.2 quart saucepan with lid, and 5.5 quart soup pot with lid. Swiss Diamond® International dates back to 1974, when HORT Coating Center SA was founded in Sierre, Switzerland, as a scientific research company exploring new materials and surface coatings. 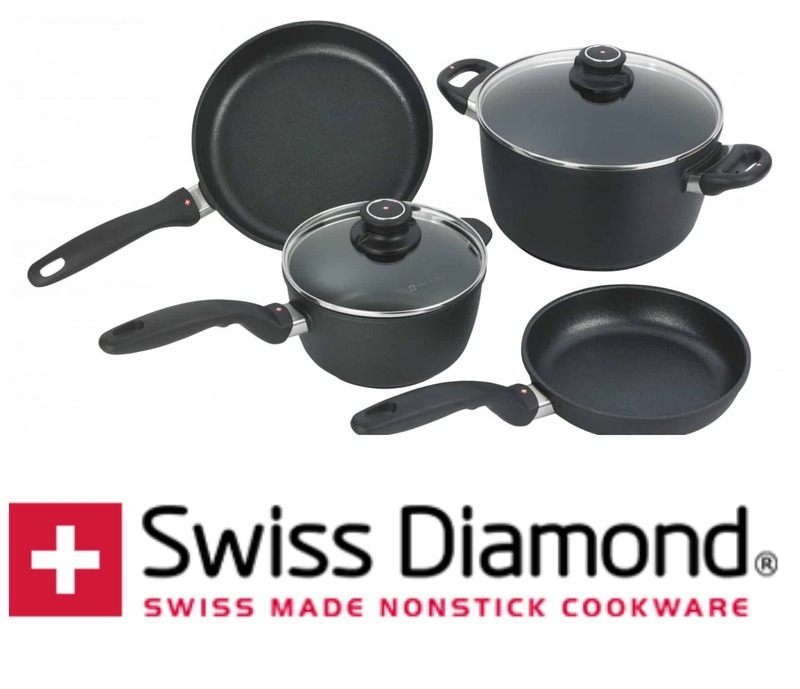 Fast forward a few years to 2001, when a revolutionary nonstick coating suitable for use on cookware was developed, which led to the creation of Swiss Diamond® International SA. Visit their website for delicious recipes and the best nonstick cookware around. 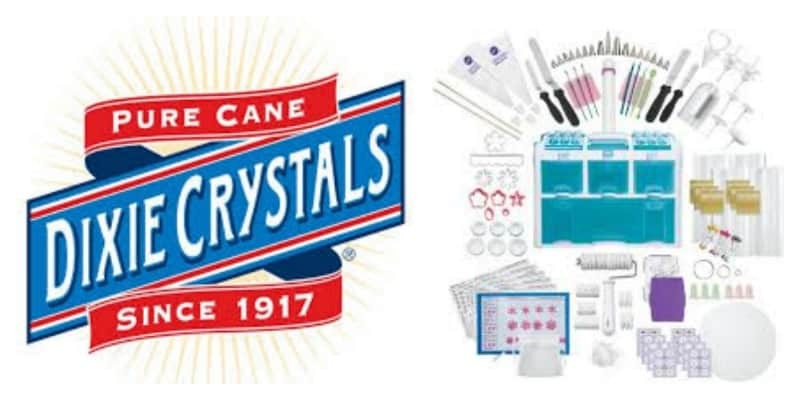 Prize #2: Dixie Crystals is giving one winner the Wilton Ultimate Cake Decorating Tools Set! What better way to decorate your cakes made with Dixie Crystals sugar then to use this decorating set? A blue and white rectangular organizer caddy has 4 see-through drawers and 2 top compartments for holding tips, plus slots on the side to hold spatulas. Included in the caddy are 263 pieces including piping tips, a practice board, decorating bags, straight and angled spatulas, flower nails and an icing comb. There's also a lot of handy fondant tools including a roller, cut-out sets, impression mats, modeling tools, shaping foam and a fondant smoother. It's a cake decorators dream! Since 1917, Dixie Crystals® has been the South’s choice for high-quality sugar and sweeteners. Our pure cane sugar products are all natural, non-GMO and provide consistently delicious results. 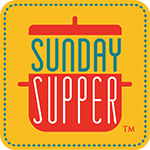 Visit their website for hundreds of recipes, holiday ideas, great ways to get kids baking in the kitchen, and plenty of baking videos. 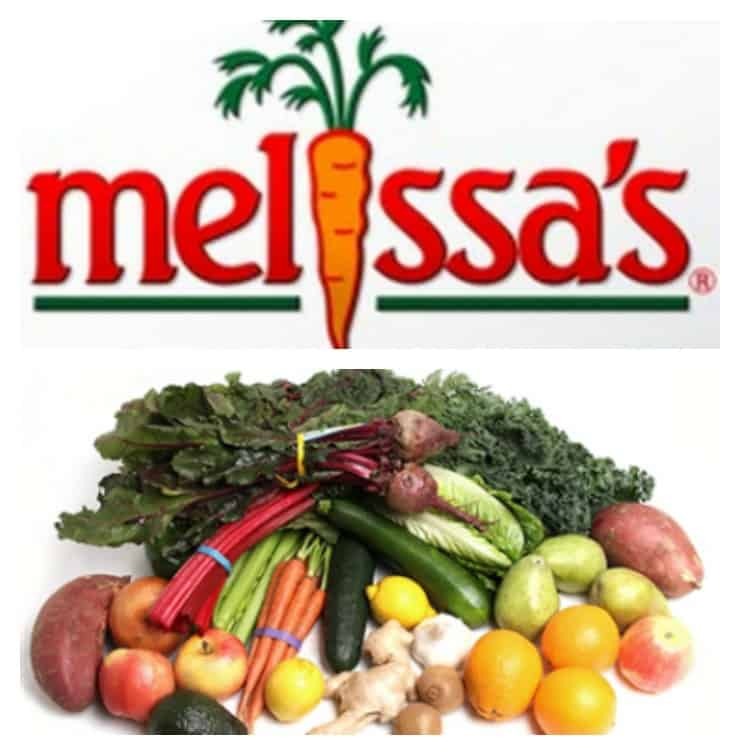 Prize #3: Melissa's Produce is giving one winner an Organic Family Produce Box. This box contains 100% organic fruits and vegetables including kale, cucumbers, apples, pears, lemons, oranges, carrots, onions, celery, garlic, and so much more! It's easy to get in your five servings of fruits and vegetables with this fun produce box. Joe and Sharon Hernandez founded Melissa's Produce with a decade of produce industry experience in a small, rented produce warehouse lunchroom. The original office had just three telephones and four chairs. In a few short years the company would grew to occupy a newly renovated and expanded 280,000 square foot office and warehouse complex. The Melissa's brand is named after Joe and Sharon's daughter, who takes an active role in the company. The company's Food Service Division has become a full-service operation that supplies culinary professionals with staples, exotics and Melissa's full line of organic produce. Visit their website to find the best fruits, vegetables, gifts, and to get tasty recipes! Prize #4: Nancy's Yogurt is giving one winner a fabulous Nancy's Yogurt tote bag full of fun items! One winner will receive a tote bag stuffed with coupons for free Nancy's Yogurt products, a super cute T-shirt, recipe cards, and Post-Its. It's everything you need to learn more about Nancy's Yogurt. Chuck and Sue Kesey opened Springfield Creamery in Oregon in 1960 right after they got married. For the first decade they focused on bottling glass jugs of milk for home delivery and school lunches. Nancy Van Brasch Hamren joined the Creamery in 1969 and shared her recipe for making yogurt. Nancy’s became the first yogurt sold in the United States to contain live probiotics. In 1999 Nancy's Yogurt began distributing to all 50 states. Today there are nearly 60 employees and Springfield Creamery makes over 100 cultured dairy and soy products. 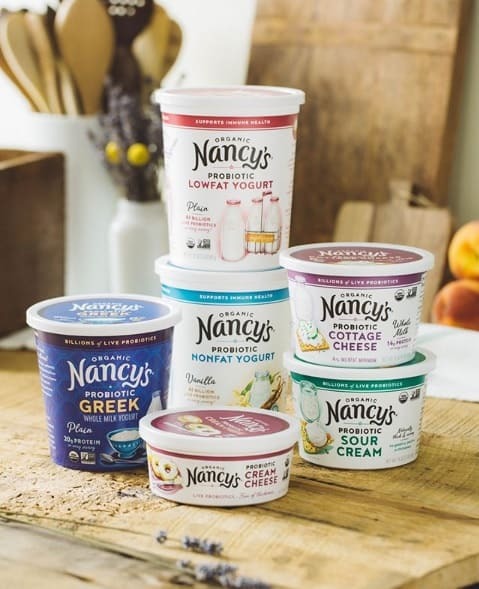 To learn more about Nancy's Yogurt, the products they sell, and how they make their products visit their website. Prize #5: PEEPS is giving one winner a gift card to PEEPS® & Co. The winner can choose from a variety of delicious PEEPS® & Co candy items as well as apparel. They even have fun gifts like throw blankets, slippers, plush bunnies, and socks. The choice is yours! Just Born, the company that makes PEEPS® & Co., was founded in 1923 in New York and moved to Bethlehem, Pennsylvania in 1932. Just Born got its name when founder, Sam Born, proudly displayed in his store window an evolving line of daily-made candy, declaring them "just born". Today we enjoy the wonderful combination of sweet colored sugar and fluffy marshmallows that create the unforgettable taste experience of PEEPS® Brand Marshmallow Candies. Visit their website to buy PEEPS® & Co. candy, gifts, and apparel. 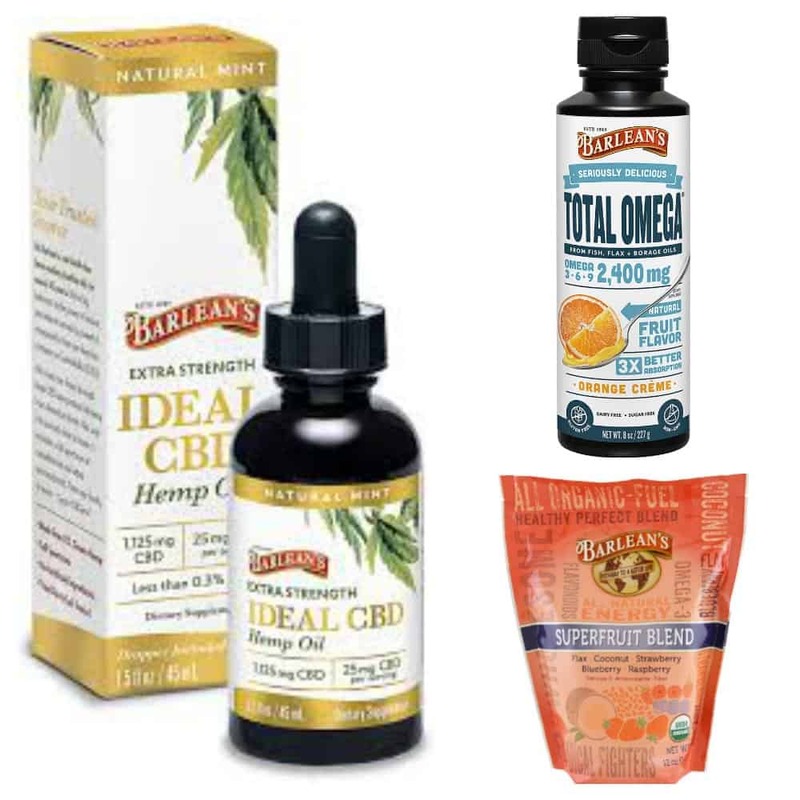 Prize #6: Barlean's is giving one winner a bottle of Seriously Delicious Omega-3, Extra Strength Ideal CBD Hemp Oil, and a bag of Super Seeds. 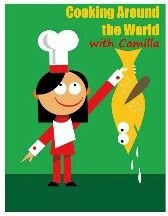 Seriously Delicious Omega-3 is a tasty way to add Omega-3's to your diet without a fishy after taste. The Extra Strength Ideal CBD Hemp Oil is made from US grown hemp, contains no artificial ingredients, has a natural mint flavor, and is gluten free, vegan, and is known to promote health and to keep people resilient to changes in their environment. Super Seeds are a delicious way to add antioxidants and Omega-3's to your morning oatmeal, smoothies, and yogurt. Barlean's believes that people can make a difference in the world through ordinary purchases. They are on a mission to make premium natural supplements and functional foods that feed the mind and body and using our profits to support outreach programs for people in need, both locally and around the world. Visit their website to learn more about their products, community, and where you can purchase their products. 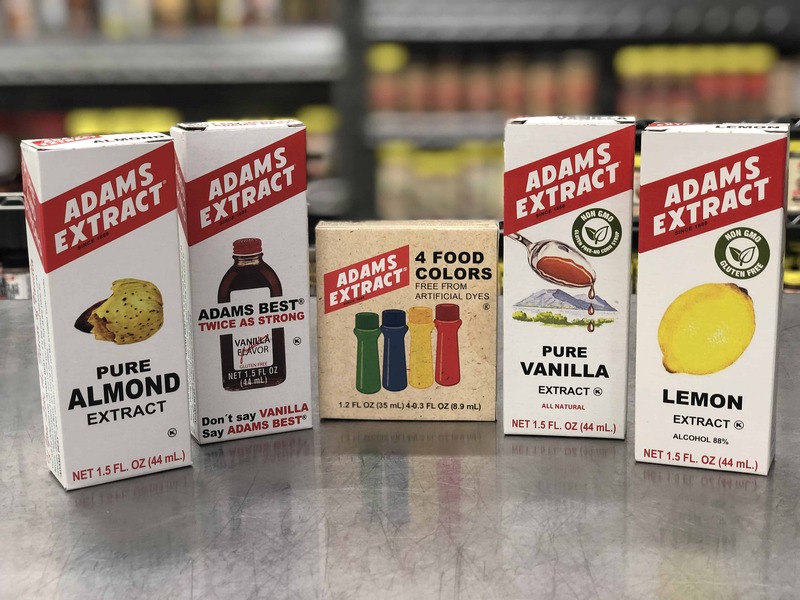 Prize #7: Adams Extract is giving one winner four of their amazing extracts and a set of their food colors. The extracts include Pure Almond Extract, Pure Vanilla Extract, and Pure Lemon Extract. The winner will also receive Adams Best Twice as Strong Vanilla which is awesome to bake with. John A. Adams began making and selling his Green Plant Sarsaparilla extract in 1888 in Battle Creek, Michigan. In 1905, he moved his family to Beeville, TX. Working with just $6.71 worth of materials on top of an old icebox, John A. Adams created a new formula for vanilla. His wife tested it by whipping up a cake and announced, "John, this is the BEST flavoring I have ever used.” “Well, that’s old man Adams BEST,” he responded. The name stuck, and Adams Best was born! Today, Adams manufactures and markets under several Adams Brand banners, including Adams Best®, Adams Extract®, Adams® Seasoning & Spice, and many more. To learn more about Adams Extract, to shop their products, or to find delicious recipes visit their website. Prize #8: Sprinkle Pop is giving one winner six fabulous sprinkle mixes from their Easter collection! 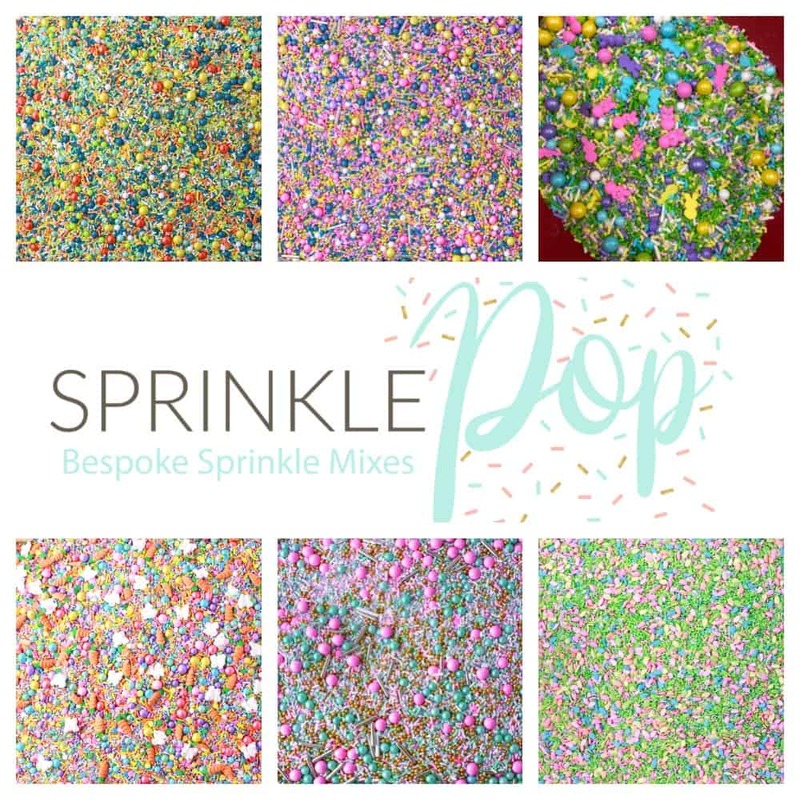 The sprinkle mixes include Hangin' with my Peeps, Bewitched, Signature, Green Tea, Cottontail Confetti, and Egg Hunt. These fun sprinkles are a great addition to any spring or Easter baked goods. Liz Butts founded Sprinkle Pop in Texas. Liz found that not only can she pinpoint exactly what sprinkle color combinations work best together, she can create a custom blend with the perfect textures. She grew the business from a one-woman show operating out of the small “sprinkle room” in her house on nights and weekends then soon expanded to a dedicated warehouse space with a devoted team of sprinkle fairies in under a year. She makes delicious sprinkle mixes that are custom, vibrant and luxurious. Over 50% of all the sprinkles are dyed in house so they are one of a kind! Visit their website to shop their sprinkles, learn how they give back to the community, and for fun recipes! And here are just a few ways in which we've been having fun with our PEEPS® at Casa Mann. I've used them in vases as decorations. Find two glass containers that nestle into one another with enough room to wedge a PEEP. Fill the space between the two containers with PEEPS® and some candy, if you wish. Place flowers and water in the inside container. You have an instant s-PEEPS®-tacular centerpiece or tablescape! I found the chicks too oddly shaped to do much with them. My Precise Kitchen Elf, chided me: "Mom, they're weird. But they are iconically weird. You have to love them." Hmmmm... whether I love them, or not, they sure have brought smiles to our faces this month! Thanks, PEEPS®, for all the chuckles! We might be a little fanatical about PEEPS® now. Such cute ideas. The Angel Face loves her new slippers. It looks like you guys had a lot of fun with these PEEPS! Adorable! Peeps peeping are so cute! Very festive and fun!